Salvia mellifera Green Carpet has wonderfully fragrant foliage as do all of the Black Sages. Salvia mellifera is often mentioned as the best sage for making sage honey. The Green Carpet Creeping Sage has pale blue flowers from the late Winter into Spring. Salvia mellifera Green Carpet is compact, growing up to 2 feet tall and 4-5 feet wide, a third less than the parent species Salvia mellifera. Salvia mellifera Green Carpet is drought tolerant, prefers good drainage and a sunny position in the garden. Salvia mellifera Green Carpet is a great nectar source for the Painted Lady, Mournful Duskywing, California Dogface Butterfly, Cloudless Sulfur, and the Northern White Skipper and is a nice addition to the Butterfly Garden as well as the Hummingbird Garden. 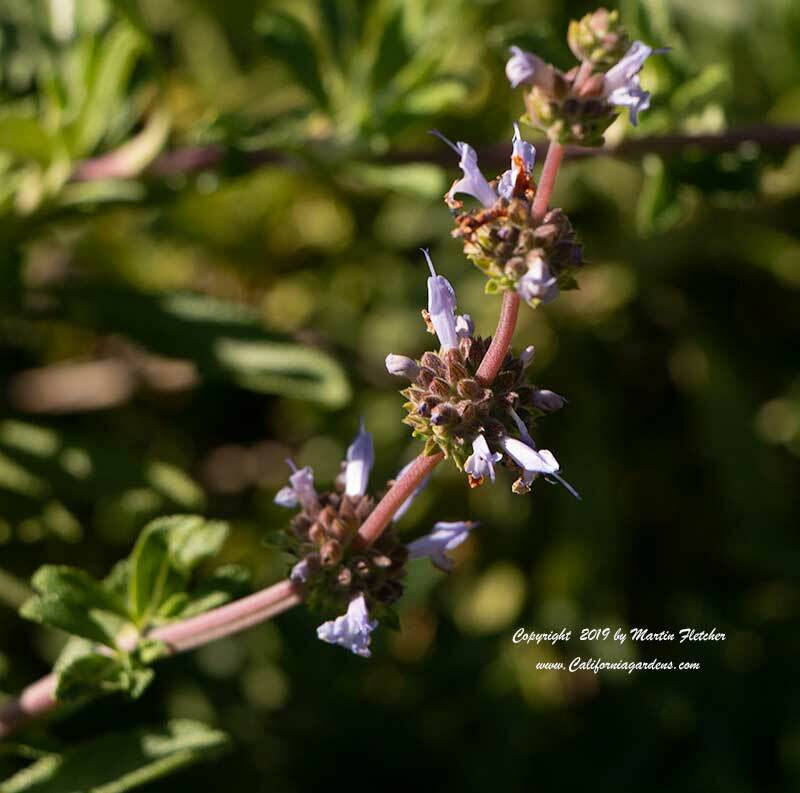 High resolution photos of Salvia mellifera Green Carpet, the Green Carpet Creeping Sage are part of our garden image collection.